Pretty soon you'll be able to send Facebook photos and Google Drive documents via email inside Outlook.com. Microsoft’s adding some helpful new features to Outlook.com on the web. Over the next few weeks, Microsoft says it will add support for Google Drive and Facebook photos to Outlook.com, along with a fresh “attachments view” in conversations. When the new features are available they will be listed as an option under the attachment icon. Microsoft’s Outlook apps for Android and iOS have had Google Drive integration for some time. We weren’t able to test the new Google Drive integration, but presumably it will work the same way as OneNote integration does on Outlook.com. After you click the “attachment” icon and then choose the service to use, you see a pop-up window showing your files. (The first time you use the Google Drive integration you’ll have to sign-in and authorize Outlook). In the case of Google Drive, you’ll have the option to view your files as a list or as thumbnails. Then once you choose the file to “attach,” it will presumably be just a link to the actual source file—just as with Outlook.com’s OneDrive integration. To make this even easier to use, Outlook’s adding another feature. If you receive a link to a Google Drive document you can view it inside the Outlook.com Web app. If you have edit rights to the document you’ll also be able to edit Google word processing documents, spreadsheets, and presentation files inside Outlook.com. Don’t worry: The Google Drive file viewer/editor won’t cover up any chat windows you’re using. Currently, if you receive an edit link to a Google Drive document in Outlook you have to edit it in a separate Google Drive tab. Facebook photos integration with Outlook.com. Facebook works similarly to Google Drive. Click the attachment icon, and you’ll see an option for Facebook photos organized as “My photos” and “Photos of me.” Again, we haven’t tested Facebook integration, but presumably these will also be links to the actual photos on Facebook. Outlook.com’s new per-thread attachments view. On top of the new Google Drive and Facebook integrations, Microsoft is also adding a new “attachments view” for message threads. When you view a long message thread there will be an attachment icon at the top with the number of attachments that have been included in the thread. Click that and you’ll get a drop down menu showing all the various attachments from the thread. The story behind the story: Adding functionality that integrates with other web services to Outlook.com is great for its users. Earlier this year, Microsoft also announced Dropbox and Box integration for Outlook.com. However, you may be left waiting for these features until the Office 365-style visual overhaul rolls out to your Hotmail or Outlook.com account. 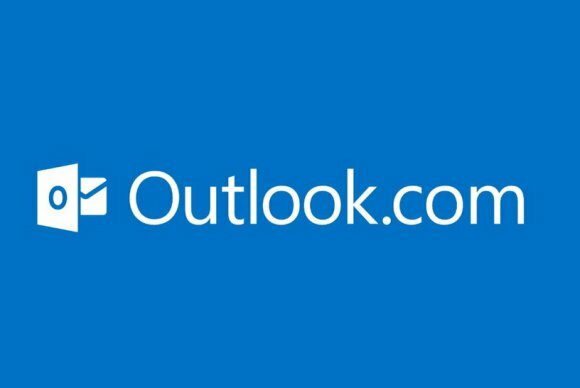 The refresh of Outlook.com has been ongoing for more than a year. Microsoft had hoped to migrate all users to the new interface by the end of the summer.